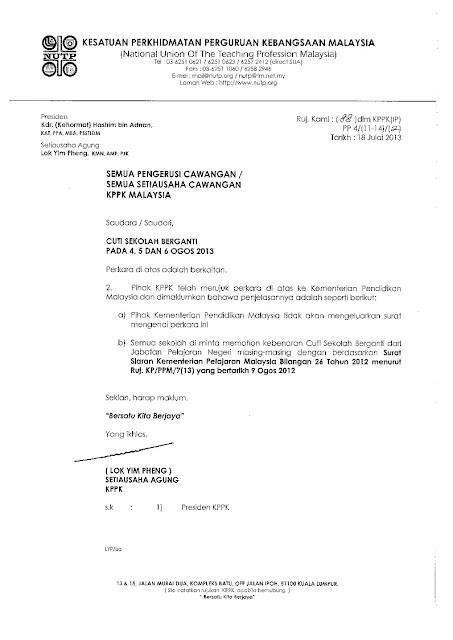 Just a few days after NUTP produced its letter saying there would not be any letter from KPM, now KPM had finally produced its latest official Surat Siaran regarding the replacement holiday for Hari Raya. A letter from NUTP which tells that KPM is not producing letter for the replacement Hari Raya holiday this year. School should refer to the last year Surat Siaran to decide the replacement holiday.